Located between Vilamoura and Albufeira, Villa Tenazinha II is the perfect place for large families or large groups of friends. It offers an outdoor pool surrounded by a lawn and sun loungers. Featuring free WiFi and an outdoor pool, T1 Bicos F offers accommodation in Albufeira, 400 metres from Oura Beach. The rooms include a TV with cable channels. You will find a coffee machine in the room. 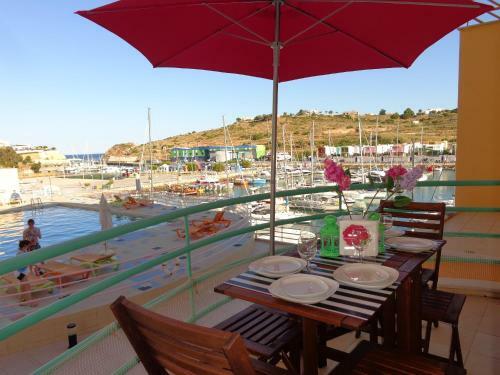 Located in Montechoro, 2.5 Km from the centre of Albufeira, Vital offers a self-catering holiday home with accommodation for 8 persons. It Includes access to a private outdoor swimming pool.